Every staff member contributes to the overall success of our University. All staff members, no matter how skilled, need opportunities for continued learning and success. Both employees and supervisors have a responsibility to actively participate in the performance management process. The process includes planning for performance by setting clearly defined objectives (individual goals), on-going coaching (formal and informal), and highlighting success, while emphasizing the importance of follow-through. This process aligns with the University’s mission, specifically providing opportunities for learning, discovery, and engagement. To prepare, supervisors and employees will discuss, agree and enter the employee’s objectives for 2019. Click image for full PDF file with valuable links. The objectives (minimum of 1 and maximum of 5) must be created and will be part of the overall review rating at the end of the year. Objectives may be added and revised until October. Comments may be posted within the Objectives module anytime throughout the year. This unique opportunity will introduce our leaders and provide an overview of the University’s mission, vision, rich history, the University’s “It” factor, the relationship with Ole Miss Athletics and will cover valuable information regarding code of conduct, sustainability, and parking services. 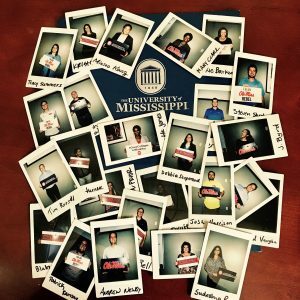 New employees are may register at https://hr.olemiss.edu/development/ or contact us, hr@olemiss.edu. It is expected for all new staff members to attend. Faculty members are encouraged to attend as their class schedule allows. Check out our worksite wellness site, RebelWell@Work! With such a significant percent of employees’ time spent in the workplace, worksite wellness is essential. Wellness is a lifestyle that encourages good physical and mental health. Programs that focus on worksite wellness ultimately benefit everyone involved: an employee’s quality of life is improved, which supports efficiency and raises quality of work in the workplace. This is why we have RebelWell. RebelWell is a campus and community wellness program designed to support employees as they adopt and sustain behaviors that reduce health risks, improve quality of life, and enhance personal effectiveness. We offer a variety of activities such as health fairs, medical screenings, nutritional cooking programs, on-site fitness classes, and more. Check out this site to find wellness programs and activities right for you. Form 1095-C (Employer-Provided Health Insurance Offer and Coverage) is the tax form required by the IRS as part of the Affordable Care Act (ACA) to report information about health insurance coverage offered to you by the University. If you were enrolled or eligible to enroll in a UM health plan during calendar year 2018, you will receive an IRS Form 1095-C by March 4, 2018. 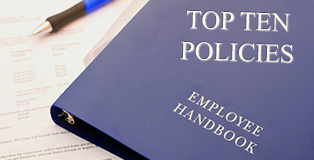 The University will provide Form 1095-C (employee statement) to employees and will file copies with the IRS. Form 1095-C is a tax form. While information on this form may assist in preparing your 2018 federal income tax return, it is not required. It is not necessary to wait for Form 1095-C in order to file. Please consult with your tax advisor if you have questions about how the information reported on the 1095-C will affect your tax return and taxes. Additional information about this form and other Health Care Information Forms may be found on the IRS website.